The basil bush is still growing! Many branches have been shared with others. The picture I took this morning was inspired by a fellow gardener (thank you Clint). The morning light is amazing. Lunches this week have been a spinach and basil pasta salad with cheese and pine nuts. 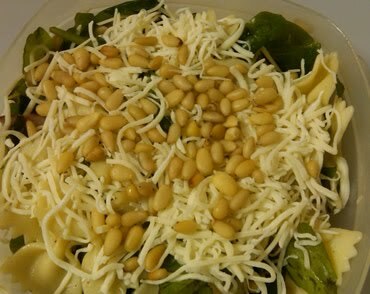 Here is a link to the recipe: http://allrecipes.com/Recipe/Spinach-Basil-Pasta-Salad/Detail.aspxAnd here is a picture of my salad this afternoon. I plan to try more recipes with basil. It is the largest basil plant I have ever seen, Paula. Before frost hits, I suggest digging it up and transferring it to a big pot. 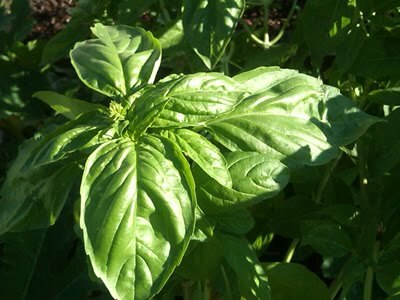 Despite what people believe, Basil can live for more than one season.